Addictive simulation and farming game Family Farm is now available for Linux. 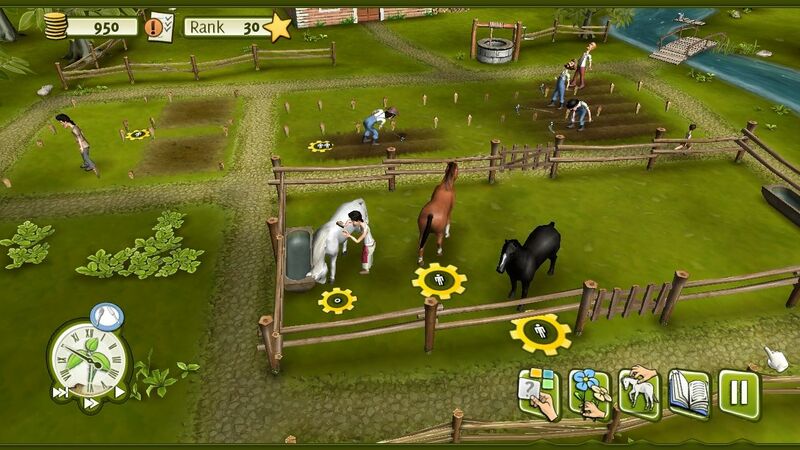 The game which focuses on building and maintaining your own farm has RPG elements to it as you can control your character with many RPG attributes like skills etc. Players can create and put themselves in control of a small Family Farm inhabited by various characters, each with different skills and needs. As the family grows, the house can be upgraded and the farm expanded into the surrounding area. The game is not free and is charged at $22 approx for Windows version. Linux version is not available for purchase as of now but it will be released in Ubuntu Software Center soon where users can easily pay for the game and install it in one click. In the meantime, you can download Linux demo which works perfectly out of box on Ubuntu 11.04. There is 32 bit as well as 64 bit version available but unfortunately sound does not work on 64 bit systems. Nevertheless, try it, the game is really immersive and you will be lost into it within few minutes.